Scotch Bonnet peppers are the key to a lot of your favorite Jamaican Food and other Caribbean flavors. 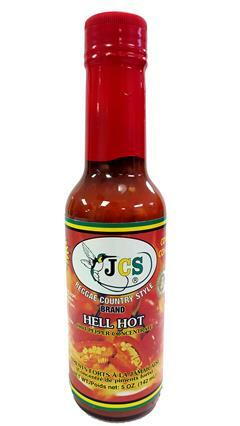 Our JCS Scotch Bonnet Pepper Sauce is imported directly from Jamaica and meets the highest standards in terms of taste and quality. Its intense spicy flavor is great for seasoning and cooking, as well as for impressing your friends with your hot pepper resilience. How is the Scotch Bonnet Pepper Special? The Scotch Bonnet Pepper isn't native to Jamaica, and it's not the hottest pepper in the world, so why is it such an important fixture in Jamaican cuisine? Scotch Bonnets were actually imported from West Africa during the colonial period, and, along with much of Jamaica's culinary tradition, hails back to its cultural origins on the African continent. Besides that, they're also incredibly delicious, and are the secret ingredient behind Jamaican jerk seasoning that provides it with its signature burn. Scotch bonnets are generally consumed in the Caribbean, the Maldives, and West African countries, but often ignored or substituted for habaneros or other peppers outside those regions. Beside its unique stout shape, the scotch bonnet pepper is also quite a bit sweeter than the habanero, meaning it's generally a better idea to find the real thing if you're looking to make authentic Jamaican food. How Can I best use Scotch Bonnet Pepper Sauce? 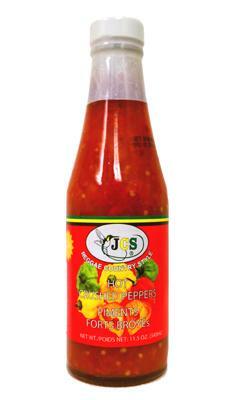 Hot sauce is a great thing to have on hand at any meal, but scotch bonnet pepper sauce is something special. 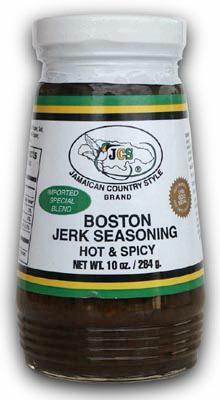 It makes a great base for jerk sauce if you want to make your own from scratch, and adds flavor to stews and other delicious Jamaican dishes in your cooking adventures. We keep a bottle on hand just in case dinner comes out a bit too bland, there's really no way to go wrong! We encourage everyone to give it a try and start their Jamaican food experience with the pepper that makes Jamaican food famous.